The year is 1927 and in America, England and Russia, three young girls share a dream, to fly. A truly thrilling and all-consuming tale based on a true story, this is one which overcomes the usual gender stereotypes and ultimately laughs in the face of inequality. An engaging, entertaining, no-nonsense guide to politics for children and adults alike. ‘Politics for Beginners‘ will undoubtedly incite debate and trigger further questions for curious, enquiring minds. With a clear, concise and humorous narrative, this intuitive overview of politics will appeal to a wide and varied audience and hopes to answer those questions many are often too afraid to ask. An enchanting journey through the science and history of lighthouses. Answering pertinent questions such as: How can we tell one lighthouse from another? What does a lighthouse keeper do? And how does a lighthouse work? An utterly engaging and mesmerising piece of non-fiction. Non-fiction can be as equally beguiling as fiction and this book is testament to that. We’ll go as far to say this is the most entertaining and interactive piece of non-fiction this year. Introducing a younger audience to key concepts such as shapes, colour terms and opposites just got way cooler! Naomi Wilkinson has produced a quality resource for an inquisitive audience and one that will incite learning in a playful way. From the much-loved black cab to the well-known Empire State Building, Foster captures those landmarks and sights which exude London and New York to perfection, with perhaps some unexpected surprises along the way. An eclectic collection of beautiful pieces curated from The British Museum make for a unique introduction to letters & numbers for small hands to explore. 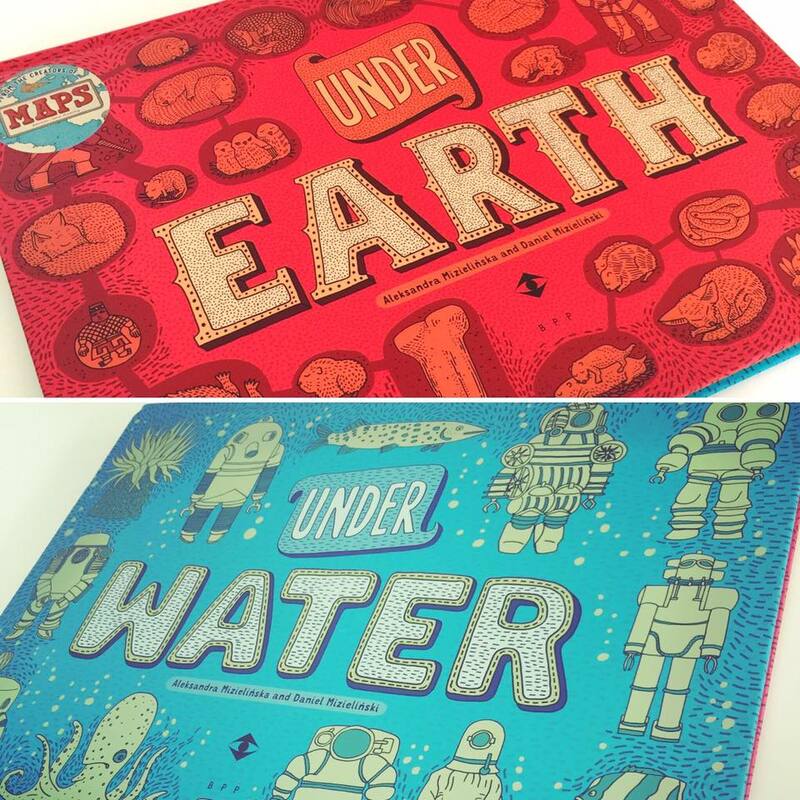 Durable board books containing a wealth of artefacts from our history, delving into cultures from around the world. In this particular ‘Who Built That?‘ series we are introduced to ten of the most important bridges in our world today. Didier Cornille presents the stories behind these iconic bridges and the extraordinary people who designed them. Is a screen-printed labour of love and true work of art. Each unfurling spread contains an iconic and perhaps new introduction to a whole range of animals. Each beautiful illustration would make a truly stunning addition to any wall. A stunning illustrative style, delicate but powerful story-telling and an in-depth knowledge of her subject matter. ‘The Polar Bear‘ is testament to all of that and then some! In this uber creative, interactive DIY ABC book, this enthralling look at the alphabet is unlike anything else we’ve seen before. Get started on your own interpretation of the ABC’s by colouring, sketching, sticking, cutting and scribbling on each page. If there was ever a way to learn more about bees, their habitat, how they communicate and the hugely important role they have played throughout history, then this epic, over-sized encyclopaedic introduction is it. In this enthralling story, comes an exquisite interpretation of Ada Lovelace’s extraordinary life. The daughter of the infamous poet Lord Byron and the mathematician Anne Millbanke, Ada was destined for great things. So much so, she became the world’s first computer programmer, long before computers were even invented. A fabulously insightful book that should be read by all of your sons and daughters. It’s a celebration of some of the pioneering women that shaped the world in which we live today and whom we have to thank for many different reasons. This beautifully curated detailed guide to plant life is a wondrous museum of all things green and leafy. Presented with intricately illustrated flora by Katie Scott and text provided by Professor Kathy Willis, Director of Science at Kew. A poignant re-telling of a shocking time in our history. We follow six young Jewish people who survived the Holocaust. Each story features real-life events of the horrors of war and recants experiences from those who witnessed it first hand. Space is an ever popular topic and this provides an insightful and atmospheric trip through space, our solar system and to galaxies far, far beyond. We defy any young reader not to learn something new or to be enticed to read further. Wild Animals Of The North by Dieter Braun is the first in a series of illustrated books covering animals of the world and you will not be disappointed! Packed with stunning geometrical illustrations, this is a designer’s dream or indeed anyone with an eye for art, this hefty book will be highly sought after by adults and children alike. Is a veritable encyclopaedia of all things bugs related. From stingers and chirpers, to wrigglers and fliers. Coupled with jam-packed spreads and sumptuously detailed illustrations, this makes for a highly engaging, yet understated learning experience for any young bug-spotter. Take a trip through the human body from top to bottom, quite literally. I’ll only mention the world’s longest poo of 26ft, once! This book is packed with snippets of information and supported by vibrant infographics to clearly illustrate each fact. One of the most well-written, creatively executed picture books on the body. A strikingly vibrant beauty of a book on the 50 States of America, this oversized book would be a fabulous resource for any home or classroom. With fact-filled spreads in snappy, bite-sized pieces of interesting information, there are a wealth of fun facts to be read and digested. This visually compelling tome on the native birds of North America is a breath taking look at our feathered friends. His use of collage allows an almost geometric artistic interpretation of the birds and one which is highly eye-catching and sure to engage any reader. This has to be one of the most hauntingly stunning visual representations of a piece of our history. From the rose gold foil on the cover to the mind-blowing spreads that encapsulate the sheer enormity of the fire. From the beginning of time to the current day, no stone is left unturned in this graphical feast for the eyes. Peter Goes has crafted a picture perfect, potted history which will appeal to all ages. It’s an accessible medium for a younger audience and a powerful classroom resource, this is a totally original and fresh approach to history. An utterly engaging and cleverly executed book that can be read from back to front and front to back. Journey quite literally, through the earth to discover what lies beneath the surface in glorious technicolour and insane detail, accompanied by snippets of fascinating facts. This is so beautiful. I never knew about such artistic picture books. Definitely my new love. Nice Stuff and great work ..
Lovely books and that great women of the world gives me a great idea for a book on women artists. I love art and have been studying art for a long time and I came across this book and was like oh yeah why haven’t I seen more books on women artists.